Hey there, thanks for visiting. I’m Elliott. I’m the tour director at North Korea tour operator Uri Tours. I travel a lot myself, sometimes to the unusual, weird and wacky. Earth Nutshell is where I share my experiences. Interested in visiting North Korea for yourself? Shoot me an email at [email protected]. I truly enjoy seeing the world for what it is, which usually means getting off the beaten track and accepting reality isn’t always sunshine and roses. Contemporary history, mainstream news media, and international politics have inspired me to visit places for myself and instead make my own judgment. I believe every country, no matter what, offers unique history, culture, and experiences worth exploring — it doesn’t need to have an Eiffel Tower. Some people collect souvenirs, others send postcards, I like to ruin a great afternoon walk by playing golf wherever I visit, even if that country is North Korea. Otherwise, I’m a software developer (iOS), I enjoy Korean pop music more than I should, and I don’t mind a whiskey. 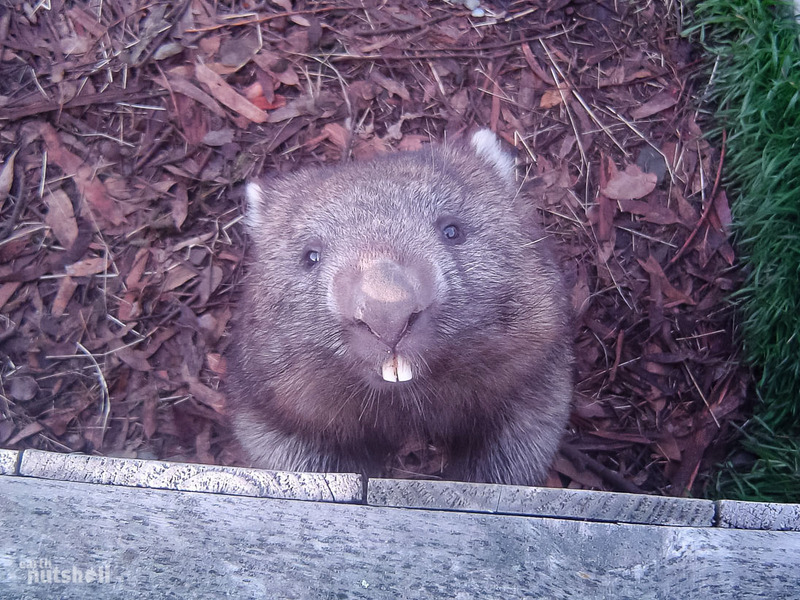 Back home, I grew up alongside one of Australia’s oldest wombats. As for where I’m from, I’ve been incredibly fortunate: Hobart, Tasmania. 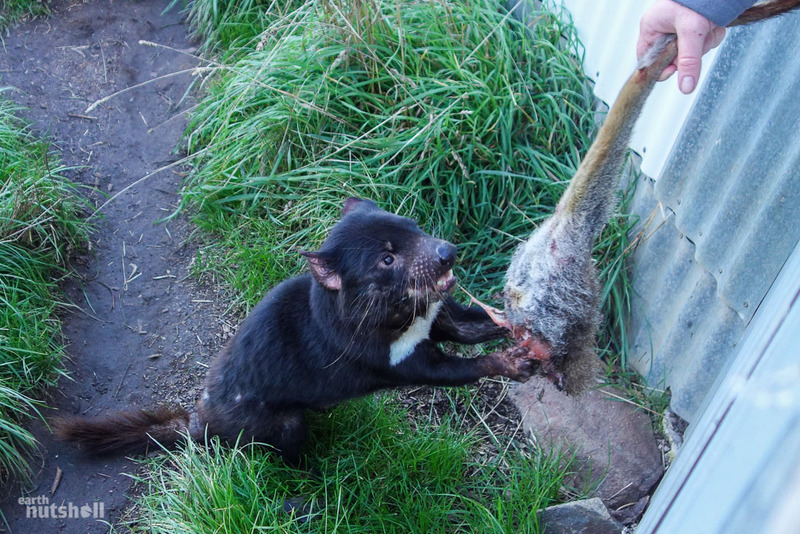 Home to the Tasmanian Devil. This one. In reality, they look a tad different: Close enough? Cute huh? If you haven’t visited us here in Tassie, you better put it on your list. At risk of sounding like a motivational, I’ve found solo travel exhilarating, an education in myself and an encounter with my limitations. Challenging, certainly, but deeply rewarding. I’ve never been quite sure what’s around the next corner, but I’ve always been excited to explore and find out. There’s just something about not being tied to the responsibility of another that opens up travel doors otherwise closed. When I was 23 I left Australia for the first time. It was solo and I was nervous. But that one-way ticket to Bangkok, Thailand was the best thing I ever did and I’ve never looked back. The people, the experiences, the education and the passions I’ve acquired are like nothing else. I’m hooked and always will be. I have been robbed at knifepoint in the US, arrested in Iran, came off a motorbike in rural Laos, had my passport soaked in London, credit card skimmed in Albania, intimidated for hours upon leaving North Korea, and hospitalised after getting an infection in the Indonesian jungle. Probably a good opportunity to say: Sorry, mum. Earth Nutshell came about as a means to publish the travel experiences I’ve had along the way. I’m hoping it to inspire, entertain and help others, to fulfill some of the curiosity you didn’t know you had. Maybe it’ll even be the push you needed towards leaving your comfort zone on the couch and seeing the world for yourself. The world is so diverse, there’s so much to see, and we currently live in such a perfect age with technology at our fingertips and with flights cheaper than ever before. It’d be a shame not to take advantage. If you enjoyed my articles, follow me on Facebook! And join my mailing list, I’ll notify you of new content! I think that covers it, but if there’s anything else please shoot me an email with the form below or directly at [email protected], especially if it’s something cool like wanting to work with me.